Christina-Taylor Green watched over her younger brother, reading to him as a big sister does. in her memory, this sculpture was dedicated and stands in sad remembrance of this girl who was born on 9/11, who died from when bullets aimed at Representative Gabby Giffords hit her. That was on a morning when Christina, who was nine year old, awakened feeling excited that her neighbor was taking her to meet a woman she admired in politics. Christina-Taylor had just been elected her class president at Mesa Verde Elementary School in Tucson, Arizona. Her plans were to start a club at her school to help her less fortunate classmates. 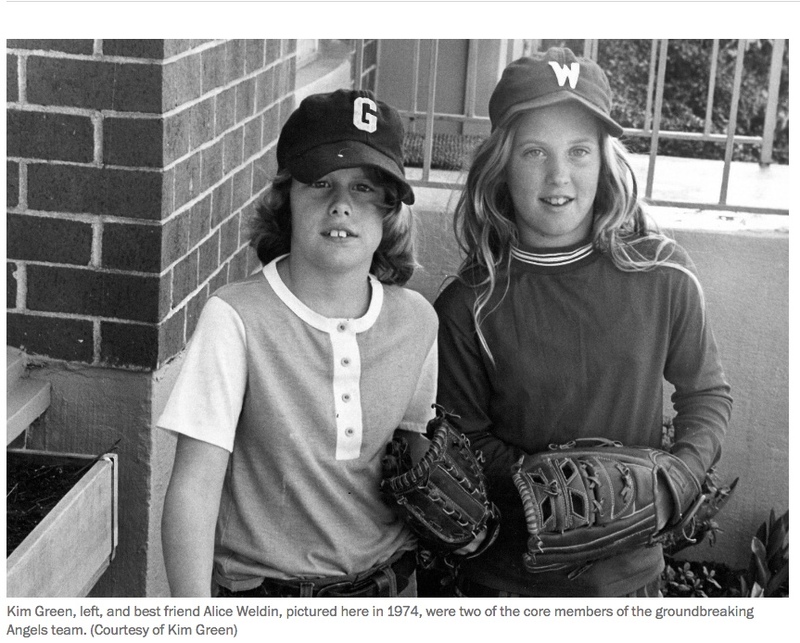 I knew none of this about her or much about her aunt Kim Green, when in my last blog I shared the photograph of Kim as a girl wearing a baseball glove who then was just about the same age as Christina when she died. Kim had tried to play on her town's Little League Baseball team, but she couldn't because she was a girl. When Christina was nine, she was the only girl playing baseball on her Little League team. She put her glove on to play second base. When Christina was nine, she was the only girl playing baseball on her Little League team. She put her glove on to play second base. Kim Green, the little girl shown in the photo from 1974, is the sister of Roxanna Green and aunt to Roxanna’s daughter, another baseball-loving little girl whose name was Christina-Taylor Green. And then I put Perry Barber's name into Google search and before long I knew why Perry toook the moments she did to write to me about Christina-Taylor. With this girl and woman, baseball became a shared passion. How remarkable that by reading about a threat allegedly made about an 11-year old girl who wanted to play baseball in New Hampshire, I start this magical chain reaction with stories of girls and baseball. How magnificent, too, that Justine Siegal, who in 2009 was the first female coach of a Major League baseball team (the Oakland A's) after she'd founded Baseball for All at the age of 23, was the person to introduce me to Karen Zerby Buzzelle, the mom who'd founded the all girls baseball team, the Boston Slammers. 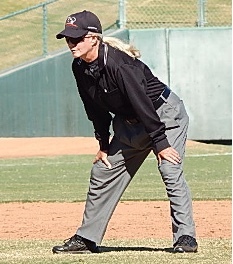 So when the 11-year old girl from New Hampshire came to scrimmage with the Boston Slammers and inspired me to write a blog post about her, I came to learn about Kim Green's long-ago passion to play baseball and how in 1974 her mom Sheila made it happen for Kim and lots of other girls, as moms like Karen still do. Then, I thought about how 1974 had been the year when I followed my passion for baseball and other sports to becoming a researcher and reporter at Sports Illustrated, and in this job I'd become the first woman to cover Major League Baseball full-time and four years later in 1978 I'd win a federal court case to give women equal access to report on baseball. For Perry Barber to be the one to introduce me to Christina–Taylor, this girl who loved baseball, is fitting. Feeling Now connected with Christina and with the youthful Kim and her childhood friend Alice, and with Perry, makes me wish for the day when our shared passion won't be a story told only by a few of us who love this game and possess the inner drive to want to share it with others. Instead, my dream is that one day, soon, when more girls and women play baseball that the crowds cheering them on and the media telling their stories will be the equal in size and yes, in passion, to those who gather to watch and report on the boys and men. Now in my mid-60s I'm writing this blog, my first, and I am writing my memoir, Locker Room Talk, about the time in America's history when I was in my mid-20s and women in America marched to fight back against gender discrimination. I want my 21-year old daughter Maya to know how I was able to play a small role in this social movement for gender equality by opening the baseball's locker room doors to the girls and women whose job it was then – and one day would be – to report on baseball. These doors, I am happy to say, are ones that many women have walked through.